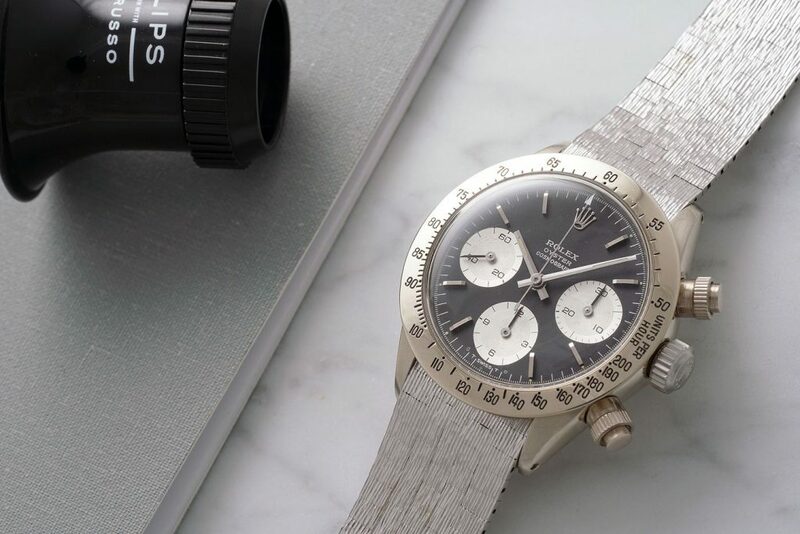 What may well be the only known vintage Rolex Cosmograph Daytona in 18-karat white gold with white gold bracelet, “The Unicorn” Reference 6265, is going up for auction by Phillips in Association with Bacs and Russo. 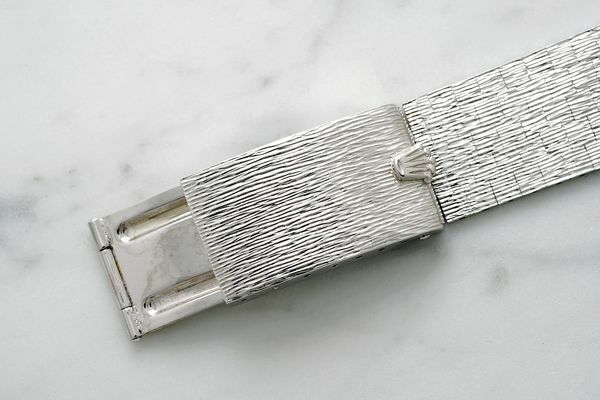 It is estimated to sell for more than $3 million. 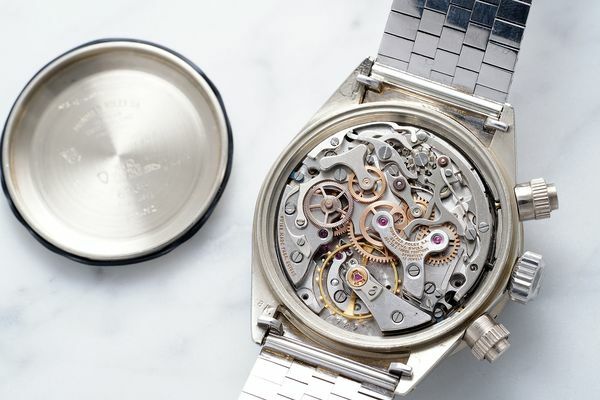 This makes the first time this extremely rare watch will come to auction at the Daytona Ultimatum Auction on May 12, 2018 — and its sale goes for a good cause. 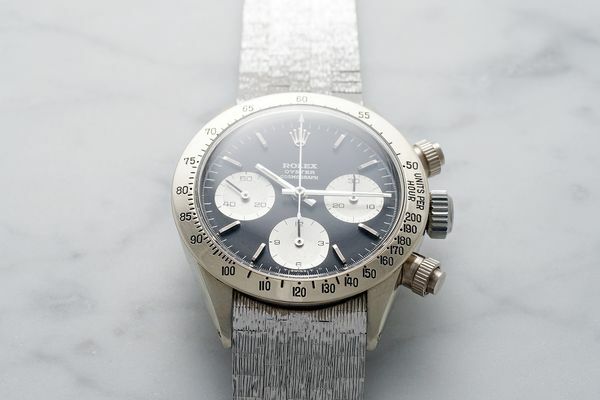 Considered one of the world’s most important Daytona watches, and simply irreplaceable by its owner, John Goldberger, the Rolex will fetch a nice price. As such, he has opted to put it up for auction for the benefit of Children Action, a foundation dedicated to helping the lives of youth around the world. It will be the headliner watch at the upcoming Daytona Ultimatum, a thematic sale offering 32 of the rarest and most sought-after Daytonas ever made by Rolex. Before the discovery of “The Unicorn” watch 10 years ago, it was thought Rolex only created Daytona in steel and yellow gold. 1- It was believed that Rolex only produced manually wound Daytonas in stainless steel or in 18k yellow gold (with 14K yellow gold models being sold in America). With the discovery of The Unicorn, Ref. 6265 some 10 years ago, it was determined that this watch was one of the most luxurious of its day. 2- It is believed that the watch was a custom order (requested from a German retailer) and was made in 1970, and delivered n 1971. 3 – Bearing reference number 6265, the Cosmograph Daytona’ The Unicorn offers a once-in-a-lifetime opportunity for collectors to own a vintage white gold Rolex chronograph. “The Unicorn” Rolex Daytona Cosmograph Ref. 6265 auction by Phillips will benefit Children Action. 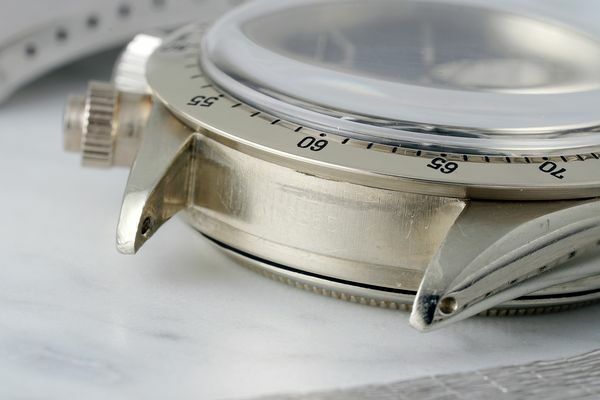 The team of specialists at Phillips Watches last year achieved a total of $112 million in sales, its second consecutive year as the worldwide market leader in watch auctions. Among the big sales last year: Paul Newman’s Rolex “Paul Newman” Daytona reference 6239 (CHF 17,709,894/US$17,752,500) – New York Auction: Winning Icons – 26 October 2017 – ­­­Highest result ever achieved for any wristwatch at auction.